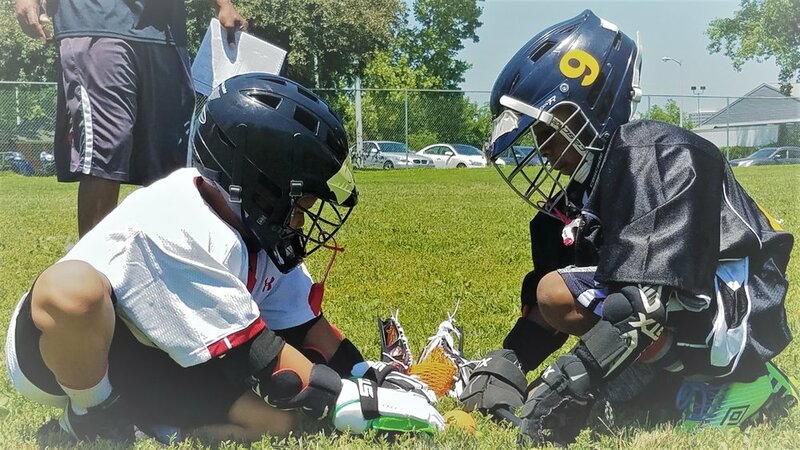 In Spring of 2018 the Jason Anderson Foundation provided a $1,000 grant to the UAME Slingshot Lacrosse program in Wilmington to help with the purchase of helmets and enabling players to participate in the 2018 season. Foundation President, Marc Anderson, visited the team’s first practice and was impressed by the dedication and commitment of the coaches, players and parents. Below are some photos of the first practice as Coach, and Program Director, Thomas Morrison helps players “suit up” and run through drills. Coach Morrison regularly provides updates to the Foundation and below are pictures from the first few weeks of games played at Eden Park in Wilmington.